Today, I spoke to a woman friend who complained of great digestive distress and suffering she goes through many days. She looked at me like I was some kind of genius. “How do you know? “Well,” I explained. “It’s not really hard. These are common symptoms of people who take proton pump inhibitor drugs long term. In fact, while proton inhibitor drugs are among the most prescribed drugs ever few people actually take them according to the manufacturer’s directions. Far fewer are aware of the common side effects they may suffer. If you suffer from reflux or have GERD you need to know that you can experience complete relief without becoming dependent on pills and I will share something that can help, at the end of this article. But first let me tell you about the proton inhibitors like Nexium or Prevacid you may be taking now. • Most people take these powerful body chemistry altering drugs on a daily basis, sometimes for years. If you have been doing this you are not even following the drug manufacturers directions for patient dosing. • The label for Prevacid for instance clearly states “Prevacid 24HR should be taken only once every 24 hours for 14 days. Once the 14 day course of treatment is completed it is not recommended to treat with Prevacid again until 4 months have passed. So if you take it every day as almost everyone I’ve spoken to has you are already being treated incorrectly. Other brands of proton inhibitors have similar directions. • These inhibitors work by changing your body chemistry. Acid in the stomach is in fact a vital component for proper digestion. You NEED acid to help digest food properly. What you don’t want is the acid to escape from your stomach and travel to areas where it can reflux and become GERD. • There are valves in your body that are supposed to prevent the acid from backing out of your stomach but these valves can be affected by factors such as age or being overweight. What you need to know is that you don’t need to cripple your digestive ability and alter the natural chemistry of your body to solve the suffering of reflux or GERD. Below are proven steps that will alieve your suffering. They are so simple and almost anyone can do them. • Don’t eat a meal for 3 to 4 hours before going to sleep. This will give time for the acid production needed to aid digestion to subside as the intestines and the colon take over. • If you find the 3 to 4 hour of no eating before bedtime restrictive, you should know that there are many digestive aid products available in health food stores One excellent one is Solgar Digestive Aid. Personally, I believe their vegetarian version called Solgar Vegetarian Digestive Aid works even better. The vegetarian version is certified Kosher which is a big plus for many consumers. • One of the most amazing solutions for reflux and GERD is a product that fights reflux with the power of gravity. It’s available at https://www.refluxguard.com/ and most everyone I know who has gotten this sings its praises. The Reflux Guard© is guaranteed for 10 years, and comes with an easy to remove cover for easy laundering. By tilting your mattress at just the right angle it keeps your stomach acid contained right where your body needs your stomach acid to be. In your stomach. Personally, the combination of the digestive aid and the Reflux Guard© have eliminated my symptoms of reflux for years. 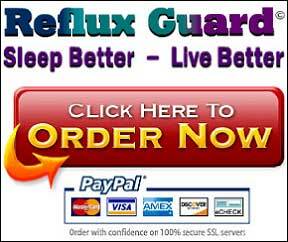 I have quite a few friends who have reported to me that the Reflux Guard© alone has done the trick for them. 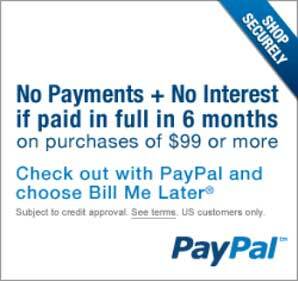 I’m happy for them especially because they thank me for turning them on to this amazing product. What I need you to know is that you do not need to take a pill that alters your body chemistry and can set off a whole chain reaction of side effects to find relief. I’ve had friends who suffered from severe bloating, intestinal yeast infections and low magnesium levels which can affect the heart. Who needs this when there are simple straight forward solutions like the Reflux Guard© that are easily available? Additionally, every documentation I have seen for ant-acid drugs state lift the head of your bed 4″ – 8″. Prevacid is not for immediate relief of heartburn symptoms. Ask a doctor or pharmacist if it is safe for you to take Prevacid if you have liver disease, or low levels of magnesium in your blood. Some conditions are treated with a combination of lansoprazole and antibiotics. Use all medications as directed by your doctor. Read the medication guide or patient instructions provided with each medication. Do not change your doses or medication schedule without your doctor’s advice. If you also take sucralfate (Carafate), avoid taking it at the same time you take Prevacid. Sucralfate can make it harder for your bodyto absorb lansoprazole. Wait at least 30 minutes after taking Prevacid before you take sucralfate. Take Prevacid for the full prescribed length of time. Your symptoms may improve before the infection is completely cleared. Prevacid 24HR should be taken only once every 24 hours for 14 days. It may take up to 4 days for full effect. Do not take more than one tablet every 24 hours. Allow at least 4 months to pass before you start another 14-day treatment with Prevacid 24HR. Call your doctor if you have additional symptoms and need treatment before the 4 months has passed.